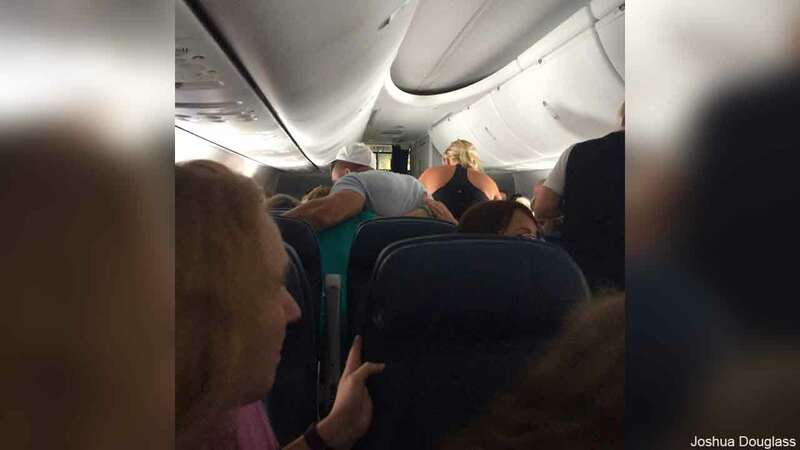 PHOENIX -- Former NFL quarterback Tim Tebow was captured on camera trying to comfort and pray with the family of a man suffering from an apparent heart attack on a flight. The plane was heading from Atlanta to Phoenix over the weekend when the man started having a heart attack. Several passengers and crew tried to help him. Tebow walked over to the unconscious man and his family, then led a group of passengers in prayer, according to passenger Richard Gotti. Medical workers met the flight at the gate when it landed. The man survived. Tebow used a car that had been waiting for him to transport the man's family to a nearby hospital. Delta Air Lines confirmed that the incident occurred but said that because of privacy rules, it could not confirm Tebow's involvement.